Crypto Renegade is a “power packed combo” and cryptocurrency educational, deadly accurate trade signals and an amazing cryptocurrency control panel that allows today’s busy traders to trade on “auto-pilot” a balanced portfolio of the 25 most traded cryptos. In addition to the front end offer for $37 per month or 12 months up front payment for the low, low price of $297. 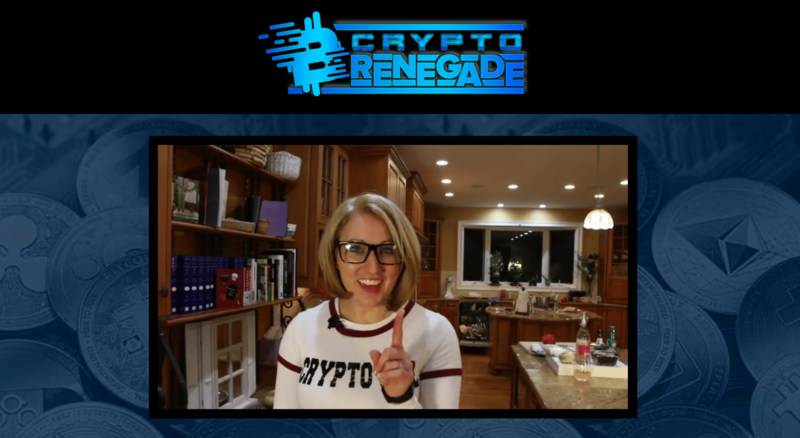 The second upgrade is 6 Live & Recorded Cryptogirl Wednesday Webinars on How to use your Crypto tools. And one darn cool bonus? 4 Live Every Thursday Cryptogirl Webinar …How to buy, sell and save cryptocurrency. We’ve seen EPC’s as high as $12 initially from great upsell conversions and our first upgrade converts AMAZINGLY..
Suzi Lewis a.k.a Cryptogirl has been making money using this technology and documenting it for 12 months. After dozens of hours of real time proof in video documentaries, she is finally releasing it to the public. Make sure to watch all the videos to believe it, as hearing about it is not enough!